MAXIM XL, available from Syngenta , is a powerful new broad-spectrum seed treatment that gives canola crops the good start and ensures growers maximise yield. Syngenta Business Manager for Seed Care, Dugald Spenceley, says that in addition to suppressing seedling blackleg, MAXIM XL also controls the important early season diseases Pythium and Rhizoctonia. “MAXIM XL is the only product registered for the control of Pythium spp. and Rhizoctonia solani as well as the suppression of seedling Blackleg,” Dugald Spenceley said. By protecting against a wide range of seedling diseases, MAXIM XL encourages rapid, uniform emergence and increased seedling establishment under all conditions. 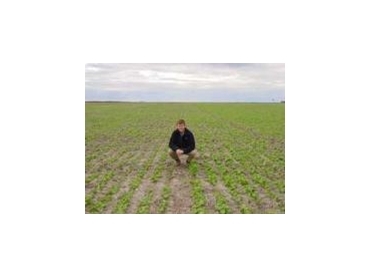 “MAXIM XL helps crops reach their full potential by optimising seedling emergence, root development, and early crop vigour,” Dugald Spenceley said. Dugald Spenceley says growers’ peace of mind is further heightened with the knowledge MAXIM XL has good seed and seedling safety. “There is no shortening of the hypocotyl, no negative interaction with herbicides and no effect on seed viability,” he said. With its wealth of unique benefits, MAXIM XL is a valuable investment to ensure crops receive the good start and maximising yield potential. “Through improving plant health in the important first six to eight weeks of crop development when yield potentials are determined, MAXIM XL is key to ensuring growers receive their optimum yield,” Dugald Spenceley said.